"Lark is fantastic! 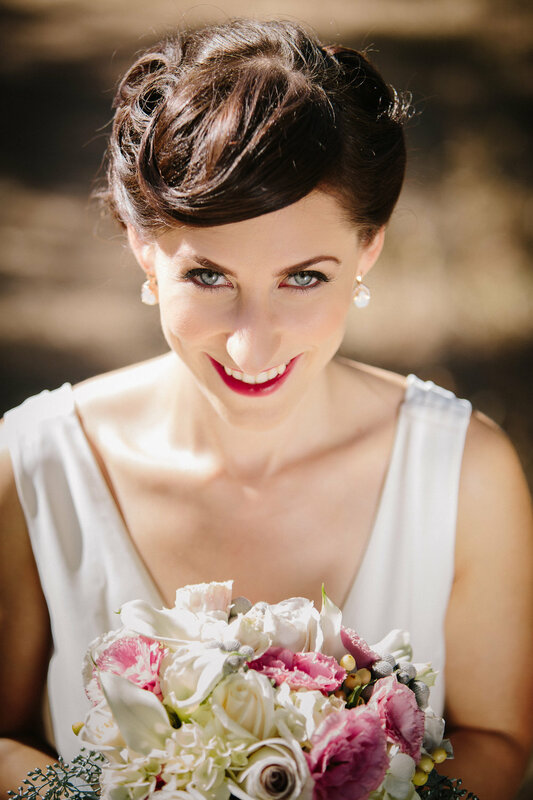 I highly recommend her for bridal makeup on your big day. She was great to work with ahead of time and day of, providing makeup services for myself, my bridal party and even a few friends. Everyone was so happy with the results - it gave us all an extra confidence boost that really came through in the pictures and video." -Jessica N.
"Lark was truly a lifesaver. I had an awful makeup trial two weeks before my wedding date with my original makeup artist and had to scramble to find a replacement - Lark was available and so willing to help me out! She even had me scheduled for my trial within two days of contacting her. The makeup was everything I wanted it to be and more. She understood my vision exactly and spent the whole session making sure she was perfecting it. Not only did our makeup look stunning on our wedding day, she was an absolute joy to spend the morning of my wedding with. If only I could get married again to get the opportunity to work with her once more!" -Ilene G.
"I'm a professional musician and I've hired Lark to do my makeup about a half-dozen times now for photo shoots, big concerts, and video shoots. I keep coming back to her time and time again because of her professionalism and the beautiful work she does! She will help you achieve whatever look you have in mind and her easy-going and friendly personality will put you at ease. Long story short, she's fantastic at making people look and FEEL beautiful!" -Annie B. 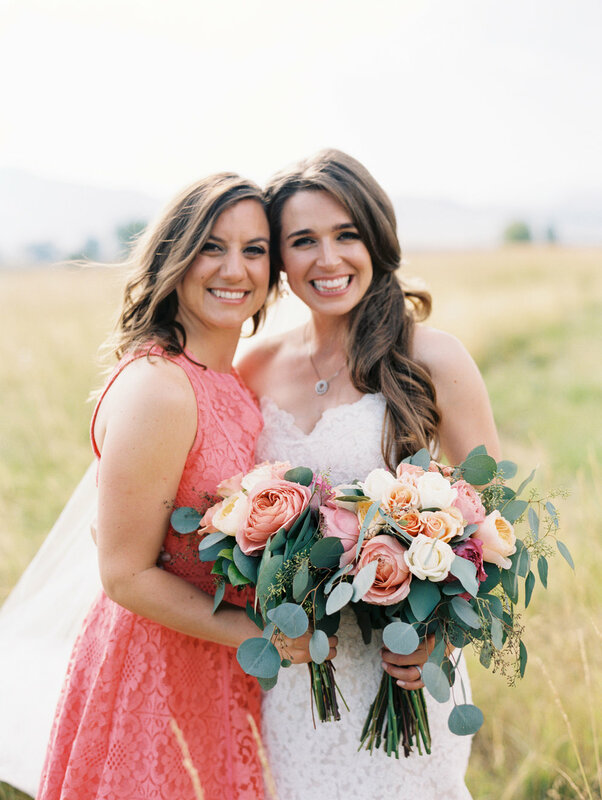 "I had the lovely experience of having Lark do the makeup for me, the bride whose wedding I was in, and the rest of her bridal party. Lark took the time to understand the look we each were going for, offer ideas, tips for keeping our makeup looking great all day, and then proceeded to do a stellar job! Lark skillfully showcased our natural beauty. And the products Lark used felt great--not heavy or greasy--and had excellent staying power. I highly recommend this talented Denver makeup artist for any occasions calling for a talented makeup artist!" -Amanda W.
"Lark was absolutely amazing! She truly is a professional, and was able to accommodate me and and my 4 bridesmaids. She made each one of us look amazing, and even had me meet her at her home for a trial run before the big day. You won't be disappointed!" -Reaghan Q.